From quarterback to artist, Ryan McCann brings the heat to Guy Hepner. Based in Los Angeles, McCann is a hardworking actor, writer and artist who has reinvigorated Pyrography, the art of burning wood into forms and subjects. Just like the way a painter carefully applies oil paint to canvas, Ryan McCann scorches a wooden surface with the flames of his blowtorch. 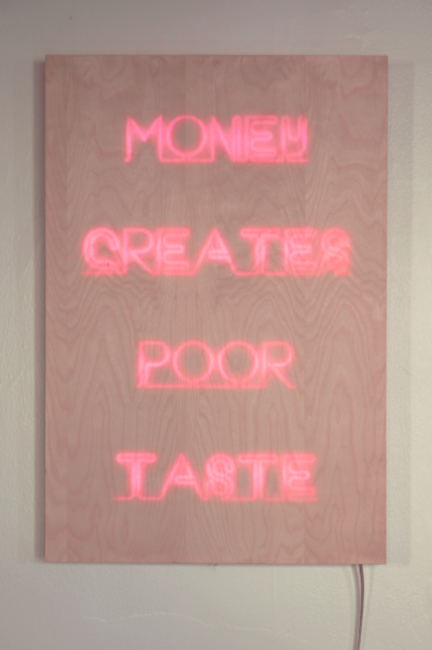 Beyond his technique and workmanship, McCann’s artwork subscribes to a pop art conceptual sense, addressing political and cultural tropes with a twist of humor. 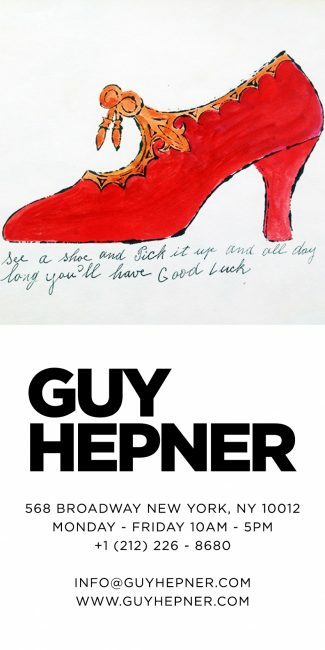 Works such as his piece, Caitlyn, show McCann’s humor while also displaying his ability for Trompe-l’œil painting techniques. 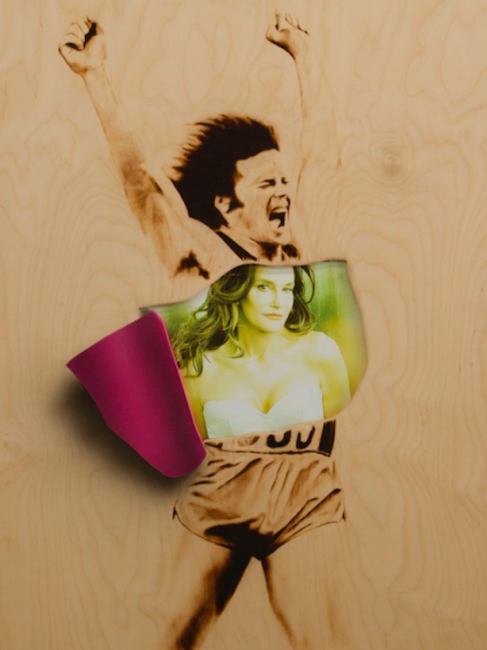 McCann shows the gold metal winning Olympian, Bruce Jenner, being torn open by his new identity as Caitlyn Jenner. Ryan McCann‘s artwork challenges revolving ideals of beauty versus ugliness, fame versus anonymity, and talent versus loafing. 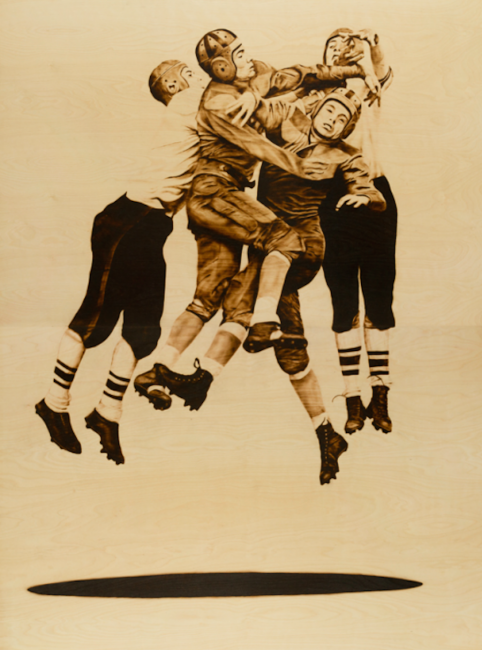 Not only did Ryan McCann attend UCLA and become the only artist in the world who has ever played for the Cincinnati Bengals, but he is one of very few artists who approach the Blowtorch medium. An admitted pyromaniac, artist Ryan McCann distinctly recalls setting objects on fire as a child and watching with delight as the flames consumed anything that was combustible. His adult self now directs the flow of the flames to create rather than destroy, embracing his own physicality with a forcefulness he uses to rip, tear, and even burn his work.